Need some practical, down to earth Lisbon travel tips? You came to the right place. 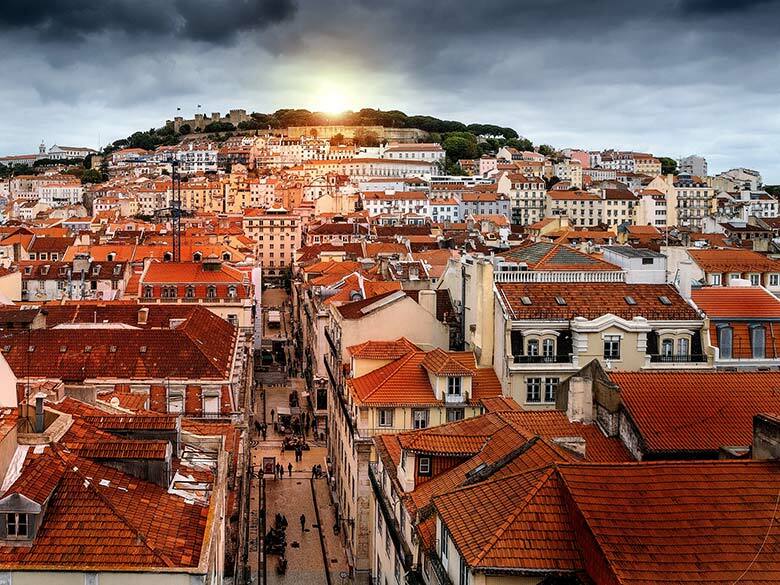 The city of hills, also known as Lisbon, became one of our favorite destinations in Europe because of its easy-going summer feeling and friendly atmosphere. Not to mention the food, tiles, and language. All adorable! If you’re going to the Portuguese capital, be sure to read these Lisbon travel tips carefully to avoid being scammed, avoid wasting your time in things that aren’t that interesting after all, or even to avoid being a problem for locals. Many times, locals deal with lots of things that could be avoided if tourists knew that it wasn’t cool to do in the first place. But hey, I know we can’t know everything, after all, we’re just humans, but Google is and always be your friend. That’s precisely why we wrote this article, which is completely based on our experience. There’s no guessing or online research here. Also, rest assured, these are field-tested Lisbon travel tips, that we can guarantee will be useful to you. Wanna know some useful Lisbon travel tips? Read on! Lisbon is nestled around seven hills. That means staircases and uphill strolls are a reality here. It will be good to burn all the calories from those custard egg tarts you have been eating, but be warned that you will exercise those legs. So here goes one of my best Lisbon travel tips: Wear comfortable walking shoes or sandals (these are my favorite!). They are essential while traveling in Lisbon and avoid you end up kissing the ground. Summer weather and parties. Lots of parties. June is jam-packed with parades and festivals because it’s the month of all popular saints, and on June 12th they celebrate Saint Antonio’s day, who is believed to foster marriages. Some people call this day Sardine Festival. Anyway, if you want to experience Lisbon nightlife, this is the right month to visit it. There are events on every single day of June. Fun fact: June 12th is Valentine’s day in Brazil, a former Portuguese colony. Yes, this may be shocking, but the overrated tram 28 is just a public transportation locals use to go to school and work, not a tourist attraction. Granted Lisbon trams are unique and cool because of their bright yellow color running through the streets. If you also think that, just take a picture of any tram. No need to photograph that specific one. They’re all the same, anyway. Also, we shouldn’t be a burden for locals. Can you imagine you’re trying to get to work and the bus you take is jam-packed with tourists every single day just because a travel guide said that was cool? Be the difference! 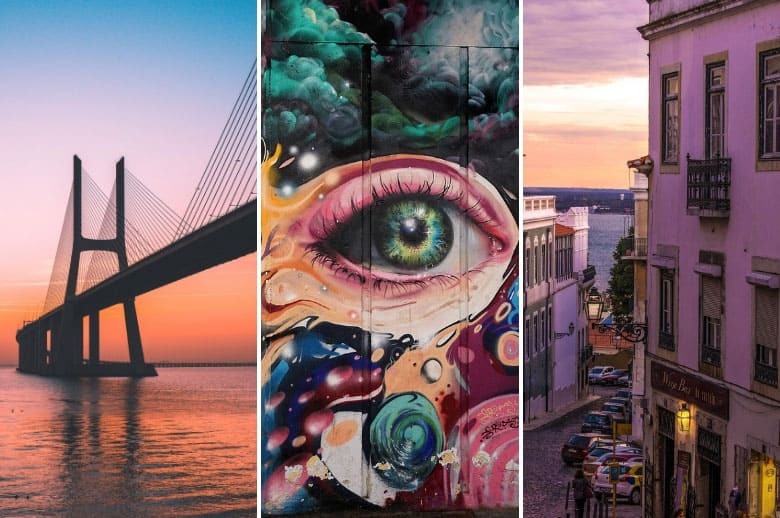 Lisbon has a bunch of viewpoints, so if you’re expecting to find the most amazing views of the Tagus River and the 25th April Bridge from there, know that you won’t. The Belem Tower is pretty much empty, and a bit boring too. So unless you love military buildings and are a real architecture enthusiastic, skip it. You are better off admiring the outside, which is ridiculously pretty, free, and without queues. Alternatively, you could visit Jeronimos Monastery instead. You’ve probably heard about Portuguese wine and custard egg tarts, but let me tell you something: that’s just the tip of the iceberg. Portuguese food is mouthwatering! No joke. Tables are often filled with good cheese, olives, bread, chorizo, cured meat, and seafood, just to name a few. Prepare yourself to eat a lot and try as much as you can. You’ll regret it if you don’t, trust me on this. For most cities, getting to your hotel would be much more comfortable with a cab or Uber. However, the Aerobus is an effortless, scam-free, and cheap way to get there. There are two circular lines, one passes by an area with lots of hotels and the other passes next to Cais do Sodre station before driving back to the airport. Both of them ride next to most hotels and main spots, and leave the airport every 10 minutes or so. Easy peasy! 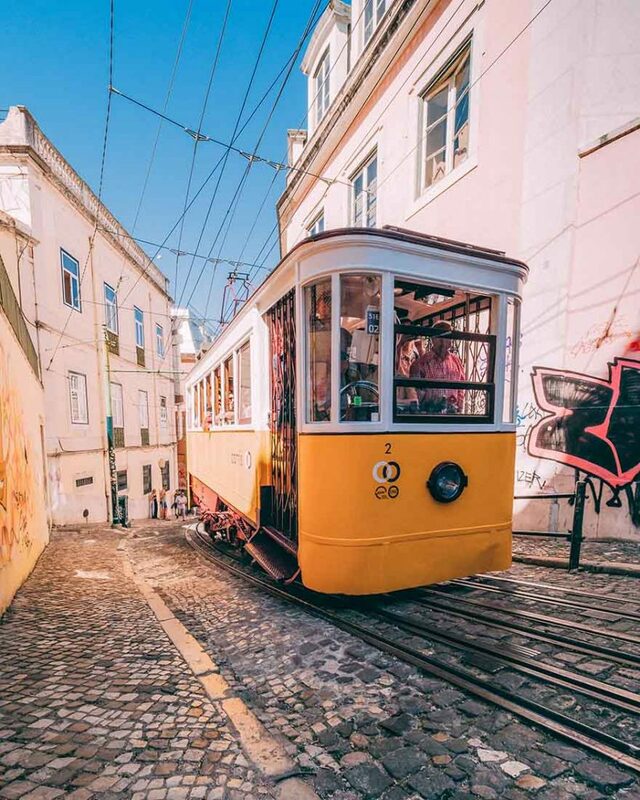 Among these Lisbon travel tips, Santa Justa Lift is the second item of this list that is entirely overrated. People wait in line to go uphill expecting to have a unique experience. Spoiler: you won’t. The Sao Jorge Castle offers a privileged view of Lisbon as well as the Sao Vicente de Fora Monastery, which was empty when we were there in the summer. The lift looks a lot like the Eiffel Tower, I know, but you can spend your time better in the city, like drinking ginjinha near Rossio Square. It’s delicious. Anyway, unless you have physical impairments, you can just skip Santa Justa lift and walk up to Carmo neighborhood. Lisbon travel card doesn’t have the smartest system. Well, at least that’s what we experienced. The thing is, you buy the Viva Viagem card and load it with one of the three available ticket options (single, 24-hour, and zapping), but if for any reason you didn’t use the loaded option, you won’t be able to charge a new ticket type, so you have to buy a new card. For example, let’s say you bought a card and loaded it with a two single train tickets (back and forth) to Jeronimos Monastery, but because you went walking from there place to the other and kinda lost track of the where you were, you found yourself far away from the train station and closer to a bus stop. Now, if you want to take the bus, you must buy a new ticket because the unused one is still in your card. This is a bit confusing, I hope I was clear enough. Lisbon is usually a relatively safe city also for solo travelers, inclusive female ones. However, like any other big city, Lisbon is not perfect. In rare occasions, violent crimes might occur, that’s why there are a few areas where you can better avoid at night, whereas during the day they’re just fine, such as Anjos, Intendente, Martin Moniz, and dark streets/ alleys in Alfama, Bairro Alto, Graca, and Mouraria. Overpriced and crowded. 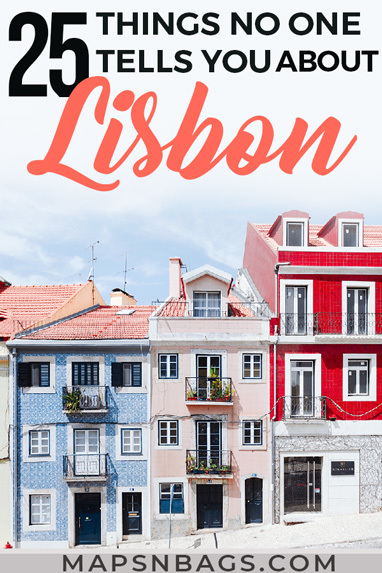 No, this Lisbon travel tips list wouldn’t be complete if I didn’t say it. Naturally, I won’t state blatantly that these restaurants aren’t authentic, but I believe they are there for tourists only. For that reason, if you want to experience Lisbon properly, walk a few blocks further away from the fuss, and you will find excellent small restaurants managed by small families. That’s when you feel Lisbon for real. Pro tip: Arco da Velha is a great and delicious option – tested and approved. Be sure to order the white house wine. We were smart enough to buy a bottle before leaving. When you sit in a restaurant in Lisbon, they will probably put some appetizers on the table – olives, cheese, bread, etc. Be warned: they aren’t free! If you touch it, they will charge you for it. It might seem fair, but the thing is you didn’t ask for that, they merely put it on your table without saying a word and leave. I don’t know you, but that isn’t normal in Holland. Not that it’s expensive, but still. So keep that in mind, and you won’t have a little surprise at the check. Frank and I made the mistake of choosing accommodation near a party area. Why was it a mistake? Because that was the coolest Lisbon neighborhood for nightlife and party all night. Dancing, singing and laughing. It sounds incredible, doesn’t it? Except when you want to sleep. June parties were at full power going all night long right outside our window. Not cool. Not to mention the loud music that seemed like a Portuguese concert was happening in our room. And you wanna know the sad part? I’m nowhere close to be exaggerating. To be honest, at some point I thought Frank was going to open the window and throw water at people because he was furious we couldn’t sleep peacefully. LOL. So if I could give you one of my best Lisbon travel tips is to avoid Bairro Alto and Chiado neighborhoods as they can be noisy at night. It is absolutely true. No need to order something fancy. Frank is not a huge fan of wine, but among the many glasses we had throughout the city/ country, he totally loved the house wines we had in small restaurants, including the one mentioned above (Arco da Velha). It was so tasty that we had to buy a bottle to drink later. Gosh, that was good! So if you’re a wine lover, prepare yourself because Lisbon is a paradise for wine tasting. It’s surreal indeed, isn’t it? Absolutely true. 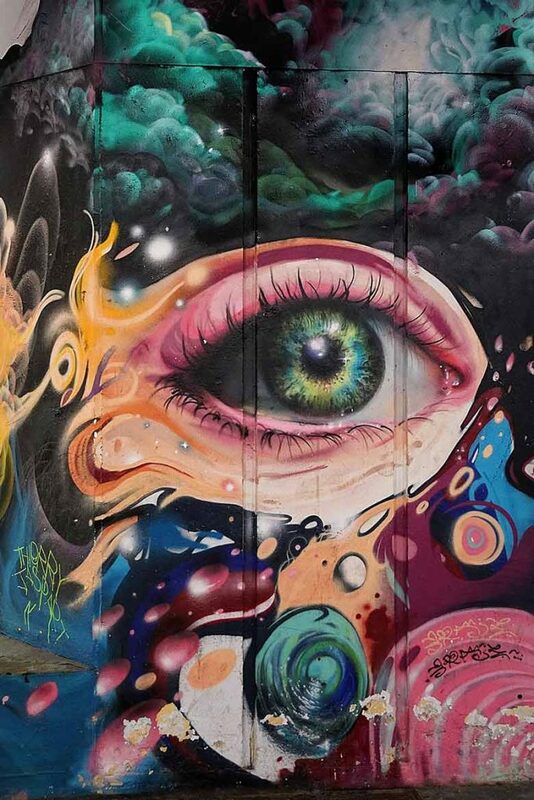 Vivid and well-done graffitis are spread across Lisbon, and although the stairs and hills don’t make graffiti hunting an easy activity, it allows you to escape most touristy routes. On top of that, the local graffiti goes way beyond ink on a wall. Some artworks have tiles in its composition, a classical aspect of the Portuguese culture. So if I may offer you one more tip about Lisbon, do go graffiti hunting. This is an ever-changing art that keeps bringing colors and interesting meanings to their existence. This list of Lisbon travel tips wouldn’t be complete without stating that the city is pretty cool. Lots of cool third wave coffee shops, trendy cocktail bars, and as mentioned above, many street artworks. Perhaps, the most famous example of it is the LX Factory, a former factory site transformed into restaurants/ bars/ coffee shops, hostels, and shops with great graffiti here and there. Places to check out at LX Factory: Rio Maravilha rooftop bar, Ler Devagar book shop, and Cafe na Fabrica (ideal for some beers or brunch). That’s true. No need to buy those environment-unfriendly plastic bottles every time you need more water, instead, purchase a reusable bottle that will stick with you for years to come and just fill it with tap water. It’s completely safe to drink. It might taste differently from what you are used to, but that’s because of different minerals present in the water, it’s not necessarily improper to drink. Frank and I were walking through the city, and independently of the time, we’d have drug dealers ask us if we wanted some of their “product.” Or better saying, asking Frank. They never spoke to me directly. In total, we had around 15 guys approach us. No need to worry though. If someone approaches you, just say no to him, continue walking, and he will go away. But it’s undeniable that these guys are very annoying. Many people will hate me for this, but it’s true. Airbnb does more damage than good in Lisbon nowadays. 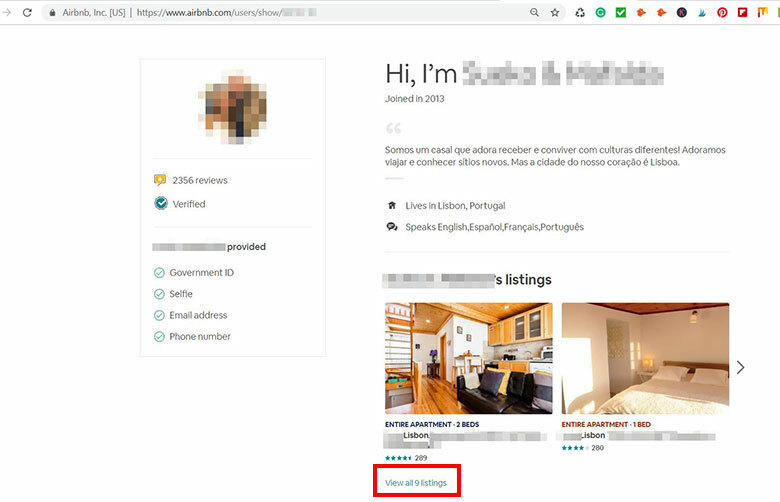 Granted, due to increased tourism the city had many spots renewed, but many companies and private investors buy apartments in Lisbon only with the purpose to register them in short term websites, like Airbnb. Why? Because it’s very profitable for some individuals (not for the local society). The average nightly price for an apartment in Lisbon on Airbnb is $120 at the time of writing. So let’s say you’d rent a place for a month through the platform, the total price would be $3,600. A beautiful monthly passive income, I know. 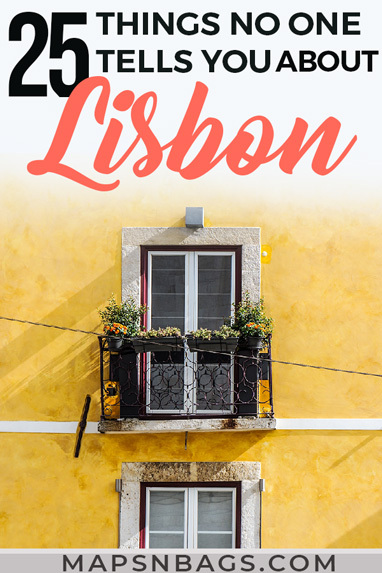 But keep in mind that the average monthly salary in Lisbon is around $963, which is the highest in Portugal, and the average rent (not on Airbnb) for a 1-bedroom apartment outside the city center is about $685. The problem here is: the lack of housing in the market rises the rent prices for locals, kicking them out of their city. That’s not what tourism is about, right? See the example below. This user has 9 apartments on his/ her name. Nine. I know, we don’t have the other side of this story, but this is one example that I found in five minutes of research. There must be many others. 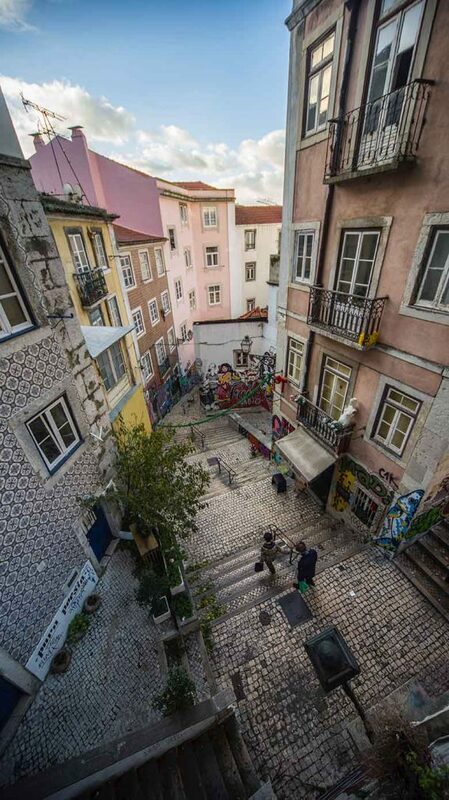 Airbnb listing in Lisbon. One example of many. That’s pretty odd, and I couldn’t understand exactly why, but some guys are walking around in the evenings/ nights trying to get into a fight with male tourists. Maybe to beat the cr*p out of them and steal their stuff? None of them approached Frank, probably because he was with me, but we saw them inviting other tourists, which is just weird. If that happens to you, just ignore them and continue walking. They’ll go away. Lisbon city doesn’t have beaches, but Lisbon district has, and many of them aren’t far away from the city. 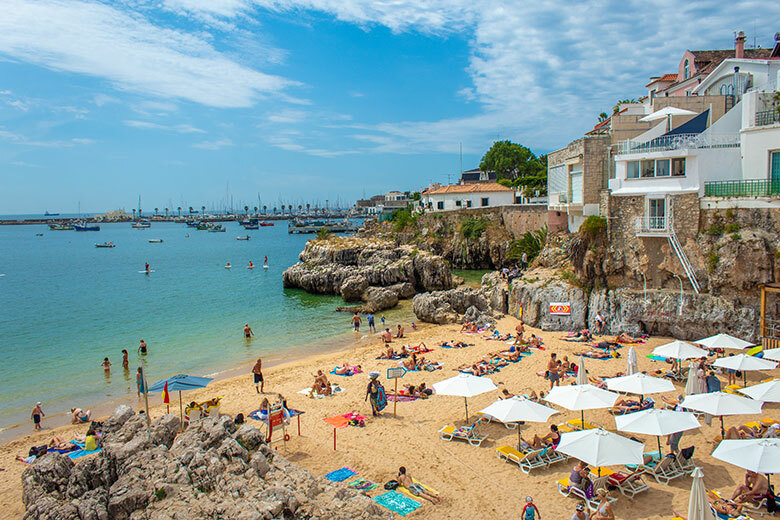 So in case you want to visit a stunning beach while in Lisbon, you can either go to Cascais, Estoril, or Costa da Caparica. These are the closest ones that you can reach by public transport. However, keep in mind that the closest to Lisbon city, the more crowded it will be. To escape crowds, head to Sintra or Setubal. Read more on beaches near Lisbon. Yes, unfortunately, that’s true, and they’re pretty sneaky too. We saw a man getting into a fight with a guy he saw pickpocketing an old lady in front of the Pantheon. And the guy was just wearing touristy clothes. He even had a camera around his neck! Sigh. So one of my best Lisbon travel tips is beware of your surroundings in touristic attractions and crowded places, such as public transport. Also, consider wearing a money belt. 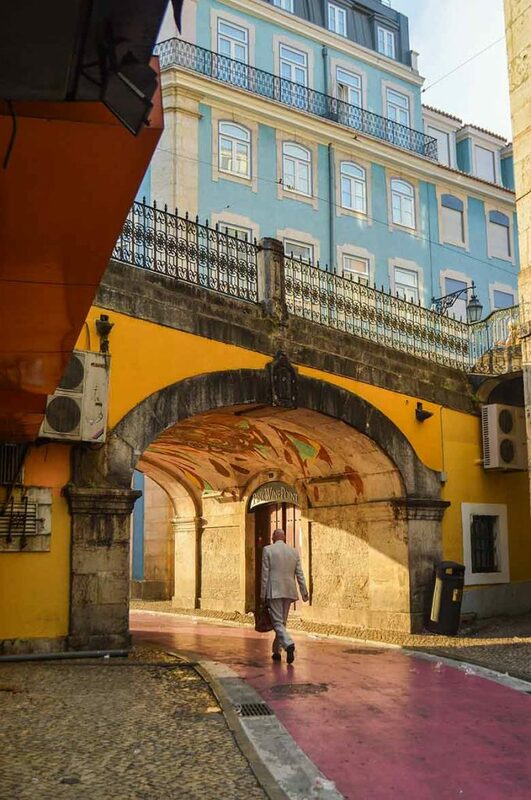 If you’re anything like us, you also love taking pictures of places you have been, especially if the area you’re in is so beautiful like Lisbon. But Lisbon goes beyond being pretty. The city is ridiculously photogenic. The colorful tiles, the many stairs, the pastel-colored houses, the orange roofs, the symmetric windows, colorful graffitis, everything! No joke. So charge your camera because you’ll use it a lot! 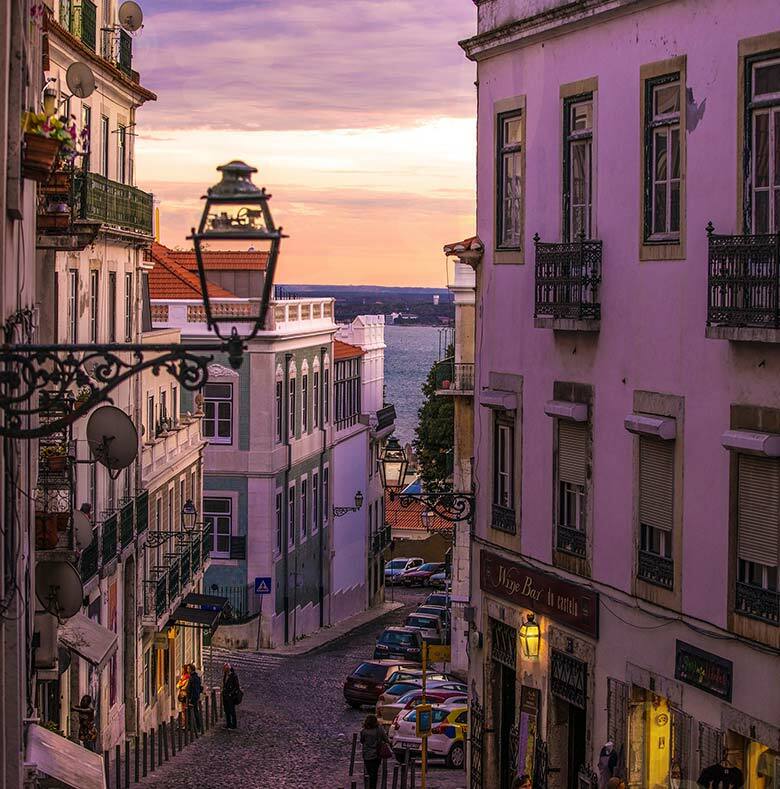 Don’t you adore the pastel colors of Lisbon? I do! Well, that’s from a western European point of view. Although Portugal is in West Europe, the average daily travel expenses are the lowest for the region. One person would spend on average $110 daily with the most expensive being airfare to the country and accommodation. But again – it won’t break the bank. There is decent accommodation in the city for an affordable fare. Just so you can have a better idea of prices, lunch for two cost around $15, a coffee $2, and a ginjinha shot $2.30 (local liquor). Maybe that’s where the Brazilian passion from soccer came from? Well, I don’t know the answer to that, but the Portuguese do love soccer. This is the national sport, and they have and had excellent players, such as Eusebio, Luiz Figo, and Cristiano Ronaldo. Portugal is among Europe’s best teams, and their people take pride in that. If you have the opportunity, watch a match in a bar with locals. We were thrilled to watch a Portugal match in Lisbon during the World Cup, and we can say it with authority: The energy is amazing! 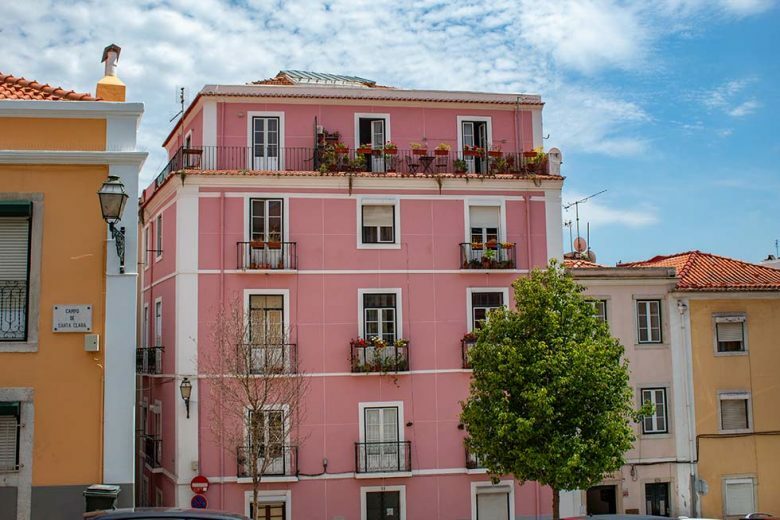 The old pastel-colored houses and tiled buildings are famous among tourists, but did you know that Lisbon has pretty modern constructions too? 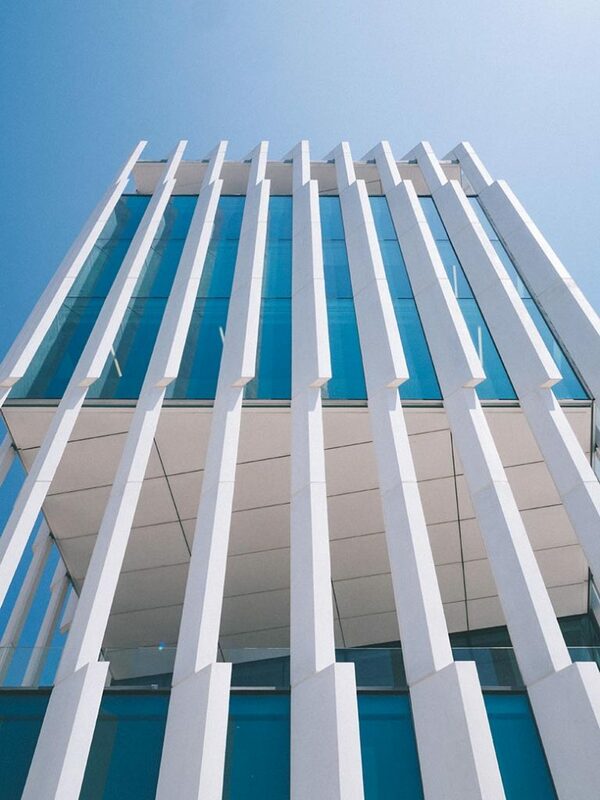 The EDP building (Av. 24 de Julho 12A) near Cais do Sodre station is an example of that. It has a unique structure two gray blocks connected by an open square with an aluminum facade. 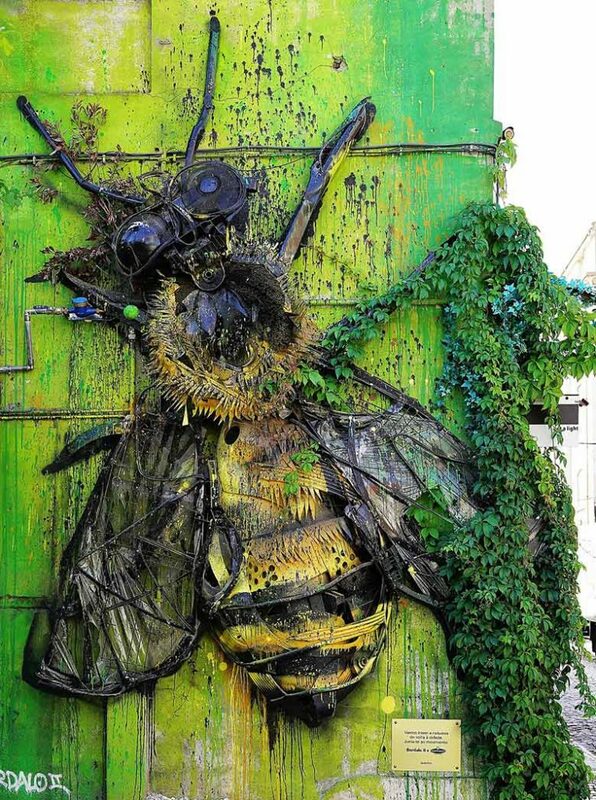 It’s a stand-alone piece of art among the old architecture of the city. Pro tip: If you like modern architecture, this is an excellent spot for cool shots! We’re sure you’re now much better prepared for your trip to Lisbon than we were. Seriously, we knew like three tips of all these Lisbon travel tips we listed above. Should we be ashamed of that? Anyway, follow this advice and remember to bring comfortable shoes and a reusable water bottle. Do you have any useful tips and advice for traveling in Lisbon that is not on this list? Comment below. We’d love to hear from you! 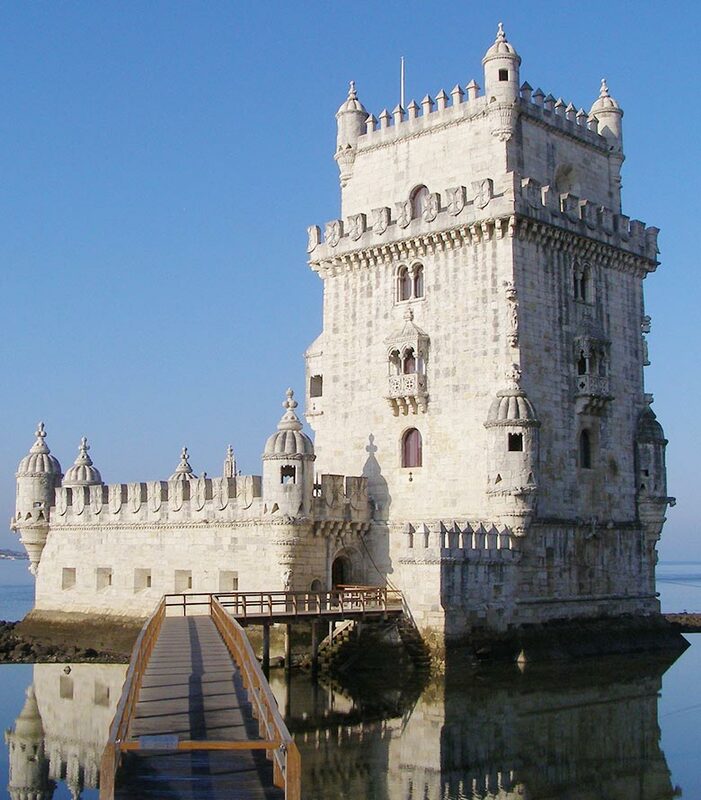 Did you like this post about Lisbon travel tips? Then help us spread the word and pin it to your Pinterest travel board! This entry was posted in Portugal and tagged Things no one tells you.